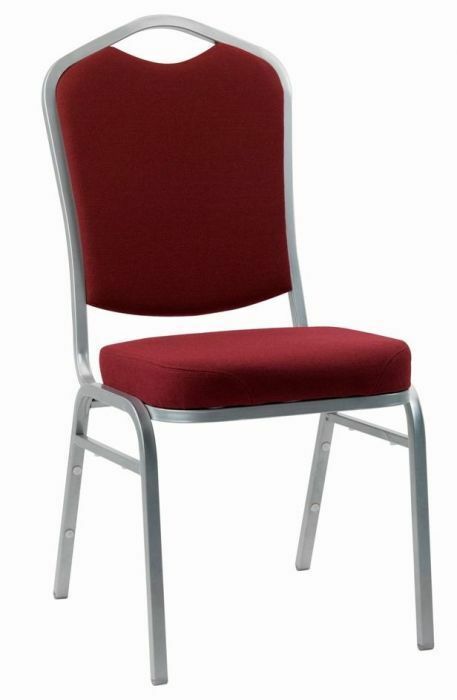 Sturdy banqueting chairs with an 18 gauge steel frame in a Silver finish. Available in Black, Blue or Claret fabric. Available from stock for a fast and free delivery. One year factory guarantee. High density banqueting chair for use in a number of applications including big events and lectures. 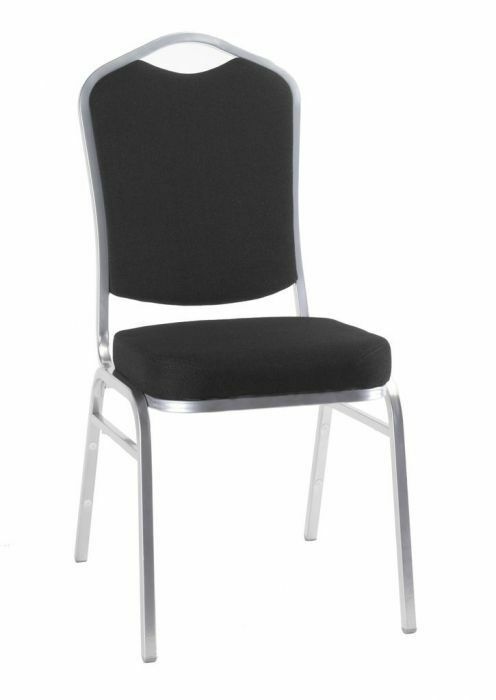 The chairs stack 10 high for easy storage options. 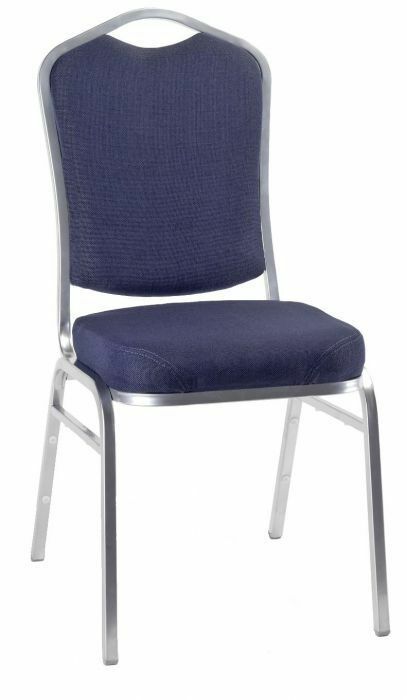 Available in three fabric upholstery options.